On tap at Ambulance, subtle Vermont maple syruping drapes mild dried fruit spicing and milder caramelized brown chocolate malting. Maple molasses-sugared mocha fruiting, dewy hop foliage and wispy chestnut-pecan-acorn tease need better forward thrust. 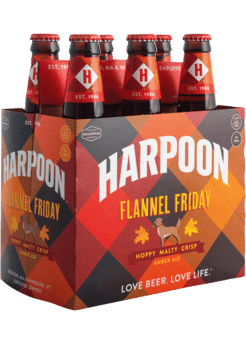 Stylishly robust, copper-hued, “hoppy” amber ale combines spiced-up lemony orange peel tanginess with moderate piney hop bittering, leafy autumnal foliage and light herbal peppering above caramel-toasted barleymalts. Random amber ale pleasantry contrasts mild caramel toasting against citric-soured phenol spicing and musty grain resin. Fading caramel-sugared honey nut sweetness restrained by latent alkaline astringency. Advertised as ‘the perfect double brew,’ a Beer & Tea blend, utilizing floral darjeeling tea, lemon-peeled agave nectar and hibiscus flowering, it may put-off some with its (nearly) cloying molasses-like sugaring. Ginger-leafed amber ale base underscores above-mentioned adjuncts as well as tertiary apple-juiced cantaloupe, raspberry, white peach and nectarine fruiting. Interesting concoction for sweet-tart fans. 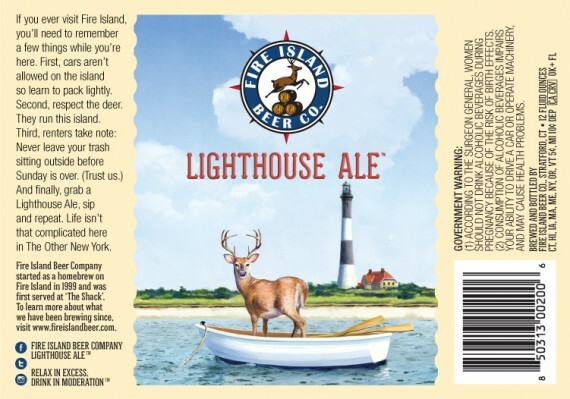 On tap at Beer Culture NYC, stylishly luxurious sunset-hazed moderation brings zestful blood orange-pureed lemon peel briskness to the fore above light resinous hop astringency and amber-grained malt sugaring. Mild citric spicing retains tangy respite. 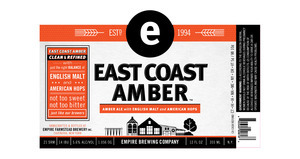 Tactically-designed amber ale utilizes wet hops to reinforce crisp grain-toasted autumnal foliage and earthen truffle musk against dewy peat sweetness, molasses-draped Scotch tones and lilting citric spicing. Amazingly prolific brown-clouded full body goes way beyond simple amber ale tag. Hoppier stylistic profile ignites IPA-like grapefruit-peeled orange rind bittering, resinous pine nuttiness and mild chocolate raisin sweetness above burnt-breaded barley roast. An Imperial Amber, perhaps? Lustrous tropical-fruited medium body goes way beyond typical ‘amber ale’ profile. Well-blended Nelson Sauvin, Mosaic and Simcoe hop merger creates ‘dank’ and sticky resinous pine bittering and tangy citrus juicing usually reserved for bigger IPA’s. Lemony yellow grapefruit tang picks up sweet orange-peeled mango, pineapple and tangerine spicing to contrast lightly pungent wood-dried fervor over sourdough breaded backbone. Disparate amber ale reliant more on toffee-spiced brown chocolate malting than stylish leafy-hopped amber grain toasting. Light floral-spiced citrus wisp and mild chestnut whim waver. On tap at George Keeley’s, robust English-styled amber ale needs more distinct flavor profile. Instead, wavering fig-dried apricot tartness, dewy earthen wood stead, musty cellar musk, wet-grained hop murk and nutty toffee reminder never fully cohere. On tap at Andy’s Corner Bar, cask version of maple-malted amber ale stays smooth and warming. Relaxing cocoa nibs influence brings milky coconut sway and mild brown chocolate sweetness to the fold as ever-increasing peppery jalapeno burn smolders the light mocha finish. On tap at Taphouse 15, “East meets West” as Chinese Jing Wei Fu Black tea dryness takes on New York Chinook hop woodiness, sour lemony grapefruit tartness and subtle house ale yeast, pikcing up grassy earthiness at the faded citrus finish.